I love smelling fresh, and I don’t like sweating, but then again I don’t like deodorant or antiperspirant. The stingy spray is painful and the fumes choking. This is not something I often reveal. 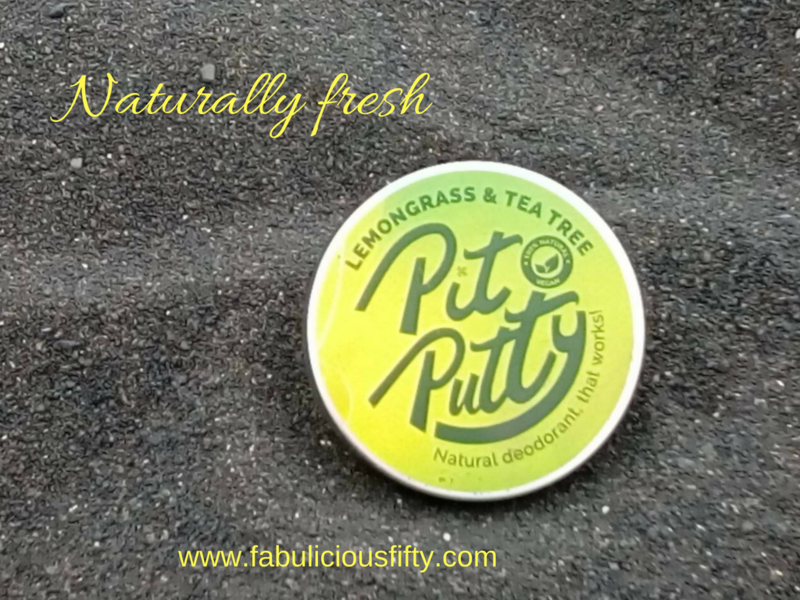 One day I was trawling through Facebook and came across a fellow blogger’s review of Pit Putty. Avril, blogger at A Paler Shade of Beauty speaks honestly and I immediately knew I must try this natural deodorant. As I was about to head to the sunny island of Tenerife for a holiday, this was the perfect opportunity to try a new product. The makers – almost local to me in the West of Ireland, kindly sent me a sample to try out. It’s funny that in this world of budget travel, and no checked luggage, my first thought was wow! I can take this in my little zip lock back and it won’t be a problem. Hand made by Laura and Luke in County Sligo in Ireland, these deodorants are unisex (depending on the fragrance of course) and really effective. Using only 100% natural and vegan ingredients, this innovative product is completely free from harmful chemicals, aluminium oxides and preservatives. You simply pull a little of the paste together, warm it in your hands and apply it to your pits. I didn’t quite realise I was sharing mine until a couple of days into the holiday I noticed a fresh aroma of limes after going in for a cuddle. At this point we had walked 10 000 steps and sunned ourselves on a hot beach for a few hours. I politely enquired if he was using my deodorant and he said that he had tried it one morning and it worked. Fragrances include the Lime and tea tree which is definitely unisex as well as Lime, basil and mandarin, Three flowers and Lavender and lemon. I think I might have a girly one next! I only review products on my blog that I really like! My reviews are honest and I have no hesitation in recommending that you try these innovative but extremely effective little pots of Pit Putty this summer. Thanks for reading and be sure to let me know if you try it! I must try this. I had never heard of this product.